MerCruiser Engine Repair Parts Northern VA | Harbin Marine sells parts, repairs engines, servicing engines, and winterizing boats in Northern VA| outboard engine repair parts, inboard engine repair, services gas and diesel inboard and outboard motors in Northern Virginia and greater Washington dc area, boat shrink wrapping, boat winterizing, boat propeller repair, stern drive overhaul, Harbin marine accepts all boat insurance claims. 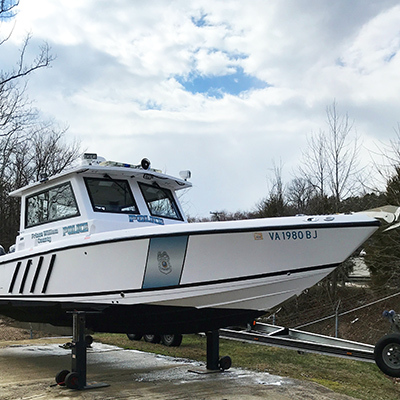 Mercury Marine has presented Harbin Marine of Lorton, Virginia, its prestigious Service Customer Satisfaction Index (CSI) Award. 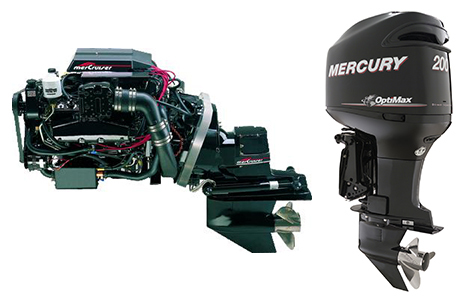 Mercury Marine’s Service CSI Program measures the satisfaction of consumers after having service work done on their Mercury outboard or MerCruiser Sterndrive or inboard. Harbin Marine won the Service CSI Award for its ongoing commitment to providing exemplary customer service, based on the responses of customers who had warranty work performed at the dealership during the past years. Read Press Release >> (in pdf). The CSI score for each dealer is measured and monitored by Mercury Marine. After warranty work has been completed, Mercury sends out a Service CSI survey to the consumer, asking him or her to rate the service received. To be eligible for the Service CSI Award, a dealer must maintain a score of 90 or better out of 100 in the Service CSI survey. These surveys ask consumers to rate their overall service satisfaction with the dealership, rate their satisfaction with the Service Advisor at the dealership, and also indicate if they would re-visit the dealership again in the future. Tracking Service CSI scores is a way Mercury evaluates the effectiveness of its individual dealers and of its own policies and training programs. 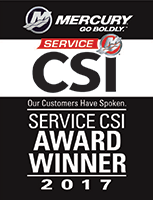 Dealerships that score high in Mercury’s Service CSI surveys are recognized through the awards program.